Hello everyone to another edition of Mastication Monologues! 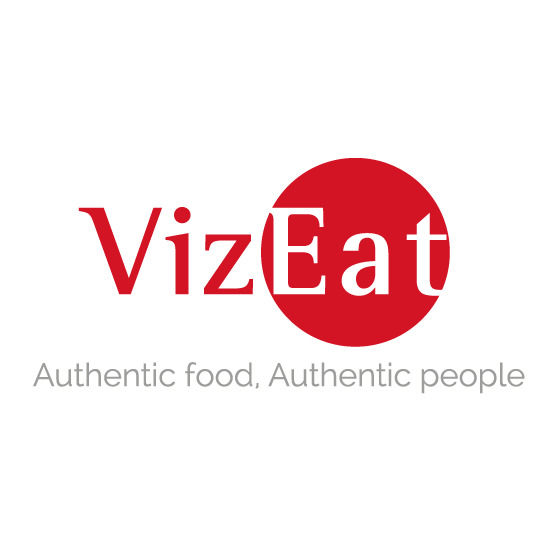 Today I will be doing a brief review of a restaurant where I tried something that I didn’t really expect to find on their menu. The restaurant in question is Wickets Bar and Grill located at 601 N Martingale Rd (at Woodfield Rd) Schaumburg, IL 60173. I was meeting some college friends there just to catch up on things, and I didn’t know really what to expect from this establishment. Based off the name, I would have thought that we were going to be eating in an imitation English gastropub of some sort due to the cricket reference in the title. Instead, I walked into a very sleek sports bar that did not have a single Guinness poster anywhere or a cricket bat on the wall. The menu did have the usual litany of bar food items like nachos and burgers, but I began to see a pattern emerging that was downright confusing. 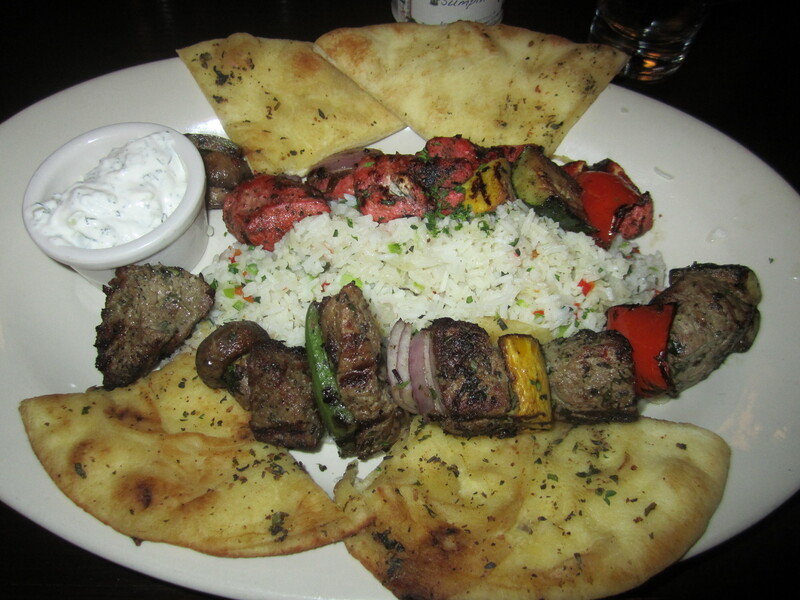 Wickets offers different types of samosas for appetizers, a chicken tikka sandwich, and tandoori chicken skewers. Why was Indian food on a sports bar menu? My friend and I hypothesized that there was one Indian master chef who was called upon to make these delicious treats from his homeland. Either that or it was a nod to the popularity of cricket in South Asia and other British colonies. Menu construction theories aside, I decided to go for the two skewer platter and a Lagunitas Little Sumpin’ Sumpin’ Ale to drink. 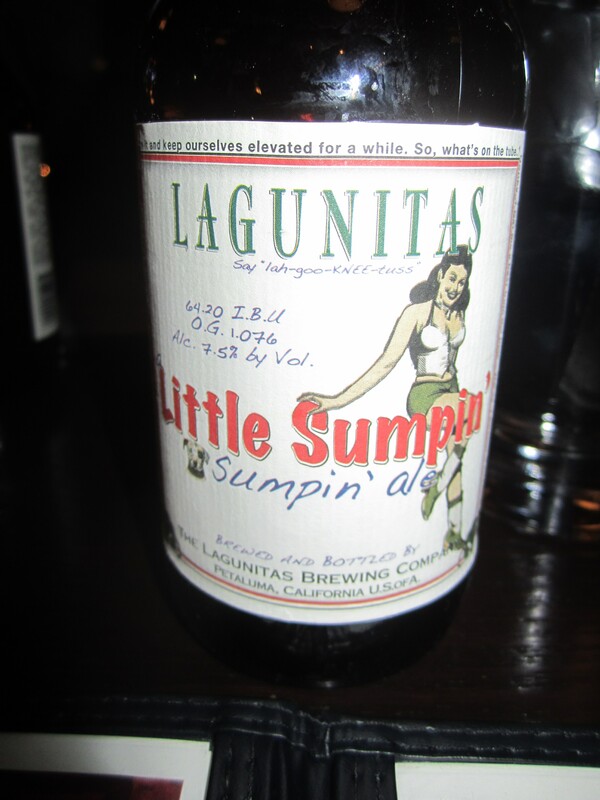 I had already had this particular brew from Lagunitas before, but I knew that I couldn’t go wrong with this choice. If you haven’t had it before, it is an amber-colored beer with a clear hoppy taste that covers your palate initially, but at the end it gives you a little smooth sum sumpin’ at the end that makes you always come back for more. If you enjoy IPAs, I would recommend this beer to you. Stomach don’t fail me now! As for my entrée, I went with one skewer of beef with vegetables and the other with chicken tikka tandoori with vegetables. They were both served on a bed of basmati rice infused with herbs which was surrounded by golden flatbread triangles. Plus, I decided to get the cucumber chive yogurt sauce that was served on the side. Taken all together, these skewers were on point in terms of quantity and quality. If you are not really hungry, then you will take some of this home with you. The basmati rice with herbs was cooked to perfection, and the herbs provided the starch with whispers of rosemary and parsley. I used the flatbread wedges as pseudo-pizza slices to put the yogurt sauce on like sauce and then piled on the meat and rice which gave the meal an Indian vibe since I was eating with my hands which I always enjoy. The Tandoori chicken was actually quite tasty since it tasted exactly like the same dish I tried in some of the Indian restaurants I visited in London. If you never had Tandoori chicken, it is a type of specially cooked chicken coated with the right blend of cumin, turmeric, chili, and a slightly charred aftertaste. The beef was equally delectable since it was grilled completely through but still quite succulent. As for the veggies, it was a mix of mushrooms, green and yellow zucchini, bell peppers, and onions. All were adequately grilled, but they still maintained their original integrity which I enjoyed since sometimes over-grilling can lead to crumbling in vegetables with higher water content. Finally, the yogurt sauce was like mix between tzatziki and the Indian raita; the neutral yogurt element provided a cooling element to the slightly spicy tandoori chicken and the cucumbers and chives provided a texture change that interacted nicely with the semi-crispy flatbread. Overall, I was stuffed and a satisfied customer. So if you’re looking for some delicious Indian influenced food in a very non-Indian environment, come on down to Wickets Bar and Grill! Posted in American Cuisine, Barbecue, Burgers, Chicken Wings, Comfort Food, Indian, Middle Eastern/Mediterranean Cuisine, Pizza, Southeast/Southern Asia Cuisine and tagged authentic, Bar, Basmati, Beer, Beverages, bread, Chicagoland, chicken, dining, Food, grill, herbs, hot, Illinois, peppers, restaurant, Reviews, rice, sauce, spicy, Steak, tandoori, vegetables, yogurt. Bookmark the permalink. the food looks great, I am hungry right now and look forward to trying this restaurant in the future.